I always get bummed out at the end of October. The spooky and the scary slip away from every day life, and I just want to hold on to it so tightly. This year October has flown by in a blink without being able to really pause and enjoy it. Is anyone taking part in NaNoWriMo this year? NaNoWriMo used to be one of my favorite things out of the entire year. It was so. much. fun. Those numbers represent 2001-2006. My first child was born in 2007. I've popped into NaNoWriMo each November since, but I haven't managed to participate much. This is the year I'm going to try to jump back into the fun. If you aren't familiar with National Novel Writing Month, it's where you write a novel of at least 50,000 words in 30 days (the month of November). If you are taking part and want to join up as a "writing buddy", let me know. I think you can add me here. I'd love to have/share some encouragement along the way. Hopefully my blogging and reading won't suffer too much through November since I'm planning to take part in SciFi Month. I'm not quite sure how the participation works for SciFi Month, but I'm hoping to read and post about SciFi whether I figure it all out or not. Donna Galanti posted about dreams. Be sure to check it out and enter her giveaway for an Amazon gift card: Guest Post | Do Your Dreams Have Power Over You? Killman Creek did not disappoint me! This book pairs drinks with horror movies! 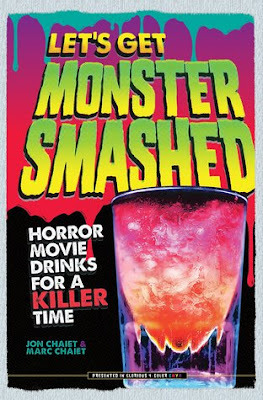 There are shots, gelatin, punches, special fx, and non-alcoholic recipes in Let's Get Monster Smashed. 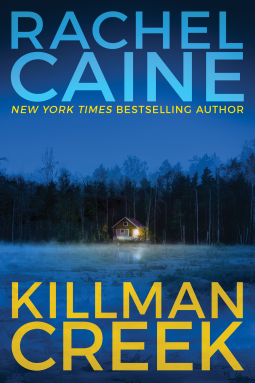 The movie pairings elevate this book to super cool status, but the recipes are perfect for horror fans (or just fans of alcohol really). My sister-in-law and I invent new scary drinks each October and this book is damn handy for me right now. 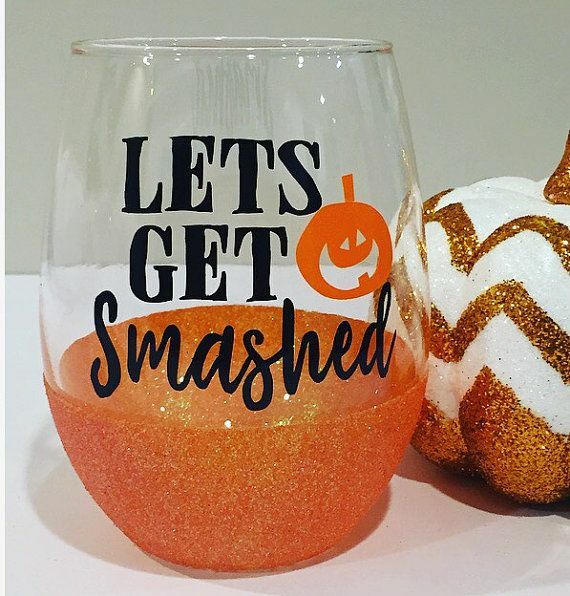 I do wish there were more traditional cocktails, but I'm happy for the level of originality here. The Astros made it into the World Series. They are up a game and looking great!! Due to the World Series and other aspects of life, I have not yet started season 2 of Stranger Things. At some point today, it will happen! Are you watching? Thanks, Lark! I'm not looking to do any productive writing, but I hope to spend some time writing something. Good luck with Nano. I've dabbled in it the past few years, but failed to get hardly anything written. I'm not even trying this year because I've got WAY too much going on in real life right now to pretend to have time to try and write. Let's Get Monster Smashed looks really interesting. Oh man, I can relate to your NaNo story. I didn't do it last year, breaking a five year win streak, and kids were also a major reason too. Unfortunately I just can't find the time so I have to sit this year out as well, but I do wish you the best of luck! Thanks, Mogsy! Hopefully I'll figure out a way to squeeze it in now. If not, that's OK, too. Have fun and good luck with NaNoWriMo. 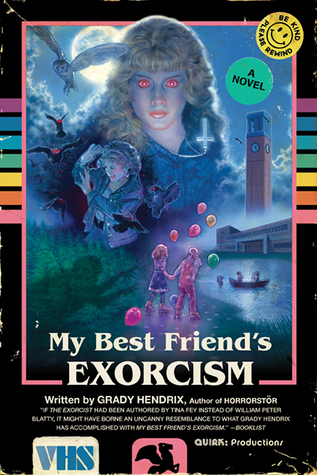 I saw My Best Friend's Exorcism by Grady Hendrix in the bookstore, but I wasn't sure if I would wanted to read it. I heard some mixed things about it. I can see why there would be mixed feelings on My Best Friend's Exorcism. I'm on the side of having had a lot of fun reading it. It was strangely enough more heartwarming than I was expecting. Definitely going to order the Monster Smash book for my husband for Christmas. I love books like that. Can't wait to see some of your sci-fi posts. Good luck with your writing as well. 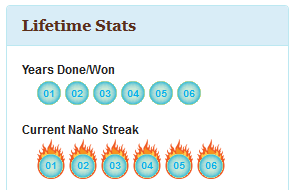 Those stats look awesome :) no, I've never done NaNo before. But! I am taking part in SciFi Month as well! Although I am so sad that Rinn has announced that she's not taking part after all. Hope SciFi Month still does well :) I know I have a ton of posts scheduled for it. I will be putting up the schedule next week. I saw that Rinn isn't taking part. I signed up last year, but it was November of the election year and I decided to unplug from the internet completely instead. October flew past. I can’t believe it’s over. Good luck with all of your November plans. I haven’t watched season 2 of Stranger Things either. Soon. Where did it go, Jenny? :( I managed to watch 4 eps of Stranger Things this weekend so we did OK. I love October and always miss the spooky stuff. Good luck with NaNo! I hope you have a great week! Yeah, it gets really jolly really fast. At least I love Christmas time and the holidays, too. I usually love this time of year-horror books, horror films etc but I'm in the worst reading slump ever and I haven't watched a single film all month! It has been a disappointing failure! I have never even considered NaNoWriMo because I'm a consumer of books, not a producer. I'll have to look for more science fiction books for November. SF is one of my favorite genres. Come see my week here. Happy reading! All the best with the NanoWriMo - hope you accomplish what you would like. 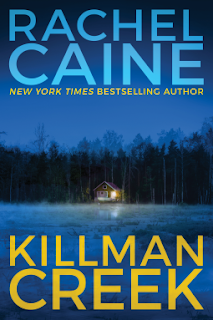 As I don't read too scary books I don't mind October vanishing for another year! My goal is to have fun. If I can consistently write throughout November and maybe even a lot, I'll be happy about it. I'm trying to tell myself October wouldn't be so special if everyone loved the spooky all year. Ok, so I need that book. And that glass. Lol. The first year I heard of NaNaWriMo I was pregnant! I wanted to do it and then boop! Baby. I still need to wait a few years, but I hope you have good luck and do some writing! I need to read the Rachel Caine books. And good luck with NaNo!!! I just started Stranger Things 2. I'm currently watching nothing! Just finished Stranger Things 2, and am taking a break, apparently. Last thing I watched was the special features for The Hobbit: The Battle of Five Armies. Cuz I'm weird, I guess. Currently reading Lord of the Flies. I like to read it each November during a beach vacation. I think it's my favorite novel. Good luck in writing and SciFi month!